Look cool without much effort. If there's anything more difficult than perfecting your winged liner, it would have to be making an effort on an outfit without seeming like you did. Wear whatever makes you comfortable—whether it's a shorts-and-sneaker or skirt-and-heels combo—and the rest will follow. Grayscale colors are always a safe choice, but you don't have to limit yourself to these hues to look stylish. Choose two to three colors to work with, and make it a point to stick to this palette when planning your whole look. Pick a casual piece, like your favorite oversized sweater, and make it look stylish with the right shoes and accessories. You can wear it with, say, a ruffled skirt and Call It Spring's WHITEMARSH metallic sneaks to take it from meh to something that deserves a striking yet nonchalant pose. Take any basic outfit to cool-girl status by finding a pair of heels that can complement it. Go for Call It Spring's PRIWET d'Orsay pumps with floral applique detail. Even if you're just wearing your go-to shirt and jeans, these shoes will make you look put-together. Go the extra mile by topping it off with a leather or denim jacket. Just because something's expensive doesn't mean it's of the best quality. 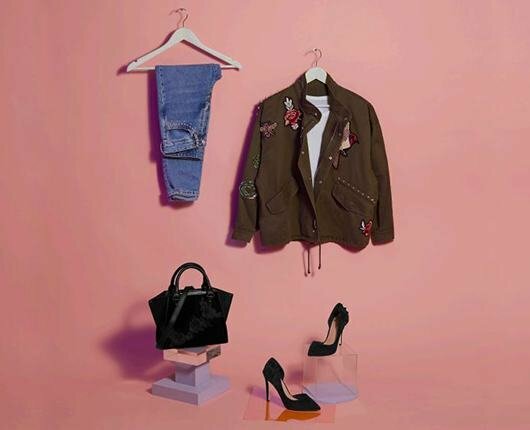 Take the time to explore the items at Call It Spring—a brand that carries stylish shoes, bags, and accessories that won't break the bank. Each piece is also comfortable for daily wear. To learn more about Call It Spring, click here.